Introducing The Seers Playing Cards: A revolutionary design offering 4 different fans in one deck. The beautiful faces are eye-catching -- perfect for close-up magic. It's backs are vibrant -- perfect for cardistry. 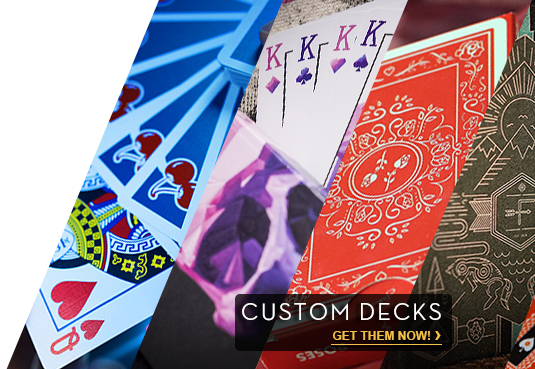 This makes what we think is the perfect all-round deck!